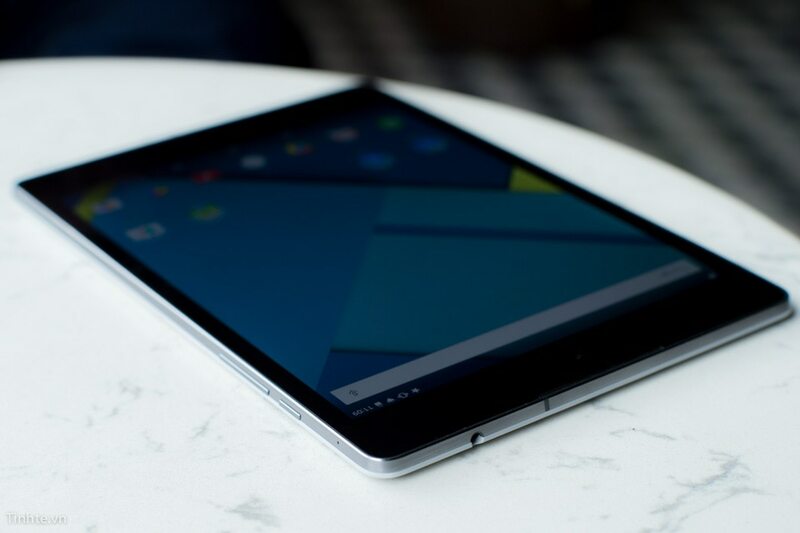 Google announced their latest Android tablet earlier this week, and while the English language blogosphere is still waiting to touch the winder-tablet a few lucky souls in Vietnam have gotten their hands on this 9" tablet. Sforum has posted a hands on video of the Nexus 9. It doesn't exactly share a lot of the more intricate details, but the video does give a good idea how the Nexus 9 will look in the real world. But if video is not your thing, at the end of the post you'll find photos from another Vietnamese blog, Tinhte. This mid-sized tablet is made by HTC, and it runs Android 5.0 Lollipop on an Nvidia Tegra K1 chip with 2GB RAM and 16GB internal storage. Its 8.9" display has a screen resolution of 2048 x 1536, and the tablet also sports a pair of cameras (8MP and 1.6MP). Weighing in at 425 grams, the Nexus 9 measures 7.9mm thin and has a 6.7Ah battery. It's going to go up for pre-order on 17 October. The Wifi model will cost $399, and the 3G/LTE model will cost considerable more. That high price and high end spec list makes this tablet a rather odd replacement for the Nexus 7, does it not? To be honest I am not sure that last year's Nexus 7 is actually going to be replaced; the 7" tablet market is so glutted that you can find last year's Nexus 7 as a refurb for under $130. That kills any value in launching a new model, which is why I think that Google has decided to replace their 7" tablet with a 6" smartphone. Yes, I would bet that the Nexus 6 is in certain ways a replacement for the Nexus 7. With a price tag of $650 (there's no Wifi-only version), it's certainly not a replacement in kind but it's about the same size. It's a shame about the price, though; I would have wanted to try a 6" Nexus tablet. The longer and narrower screen geometry could have made for some interesting one handed usability. Why your video is private? I do not know. It was not private earlier.